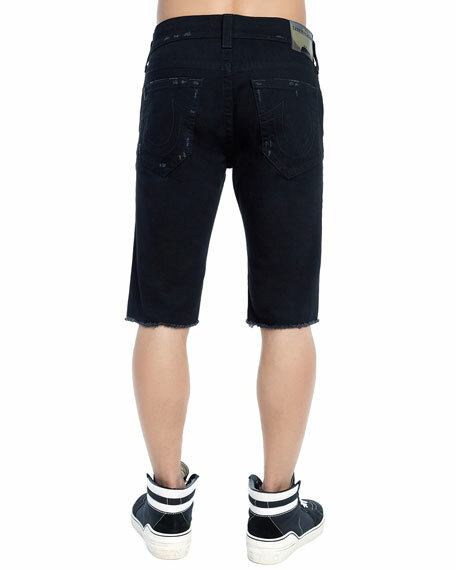 True Religion "Rocco" fit denim shorts. Five-pocket style; signature horseshoe stitching at back pockets. 2(x)ist vintage-inspired boxing sport shorts in lightweight, moisture-wicking tech fabric. Contrast drawstring waistband. Side slip pockets. Contrast piping. Reflective logo. 2(x)ist vintage-inspired boxing sport shorts in lightweight, moisture-wicking tech fabric. Contrast drawstring waistband. Side slip pockets. Contrast piping. Reflective logo. Pull-on style. Cotton/nylon/polyester. Machine wash. Imported. 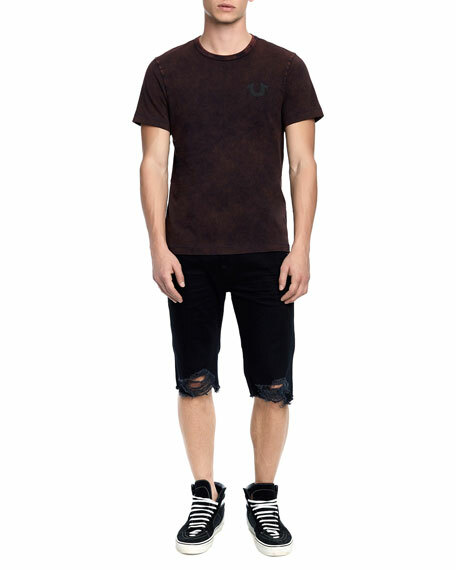 McQ Alexander McQueen sweat shorts with logo taping. Drawstring elasticized waistband. Straight, relaxed legs. Pull-on style. Cotton. Imported. 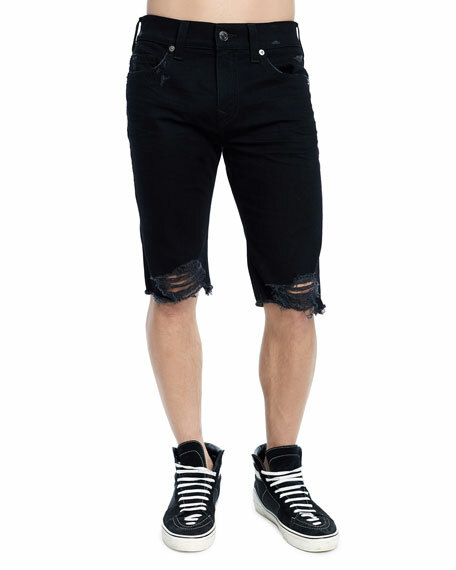 Model's measurements: Height 6'1"/185cm, waist 32"/81cm, typically wears size M.
Ovadia & Sons shorts in quick dry fabric with skeleton graphic for swim or everyday wear. Artwork created in collaboration with artist Stanley Mouse. Elasticized drawstring waist. Side slip pockets; back welt pocket. Hem ends above the knees. Nylon. Imported.